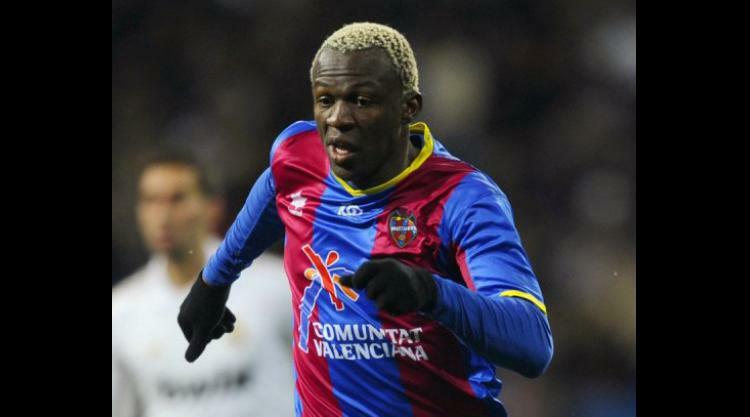 Levante's Ivorian striker Arouna Kone faces a bizarre problem: he risks scoring too many goals. Kone has already put the ball into the net 17 times this season for the Spanish club in all competitions. But if he scores an 18th, his highly successful period with Levante -- where he is on loan from former club Sevilla -- could come to an abrupt end. A clause in the loan contract means the Ivorian international must return to Sevilla if he scores 18 goals this season. That may not be an enticing prospect for Kone, who started at Sevilla five years ago after bouts with Lierse and PSV Eindhoven but never found his feet, scoring only two goals in 49 matches. Never managing to win the confidence of successive coaches at Sevilla, he ended up being loaned out first to Hanover and then, most successfully, to Levante. Two curious twists of fate may prevent him from scoring the fateful 18th goal. During Levante's 3-1 win over Granada last Saturday, a grinning Kone celebrated his 17th goal by lifting his shirt and thus earning a yellow card, his fifth this season -- which sidelines him from Wednesday's Levante-Zaragoza clash. In the same match, the centre-forward then asked to come off after bruising his left foot. According to the Levante club's web site, the injury could take one-two weeks to heal. Call it luck or coincidence, but the Spanish league will be over in just two weeks.